This map and website is pretty amazing and frightening. It represents all the bombs dropped on London during the Blitz (7 October 1940 to 6 June 1941). 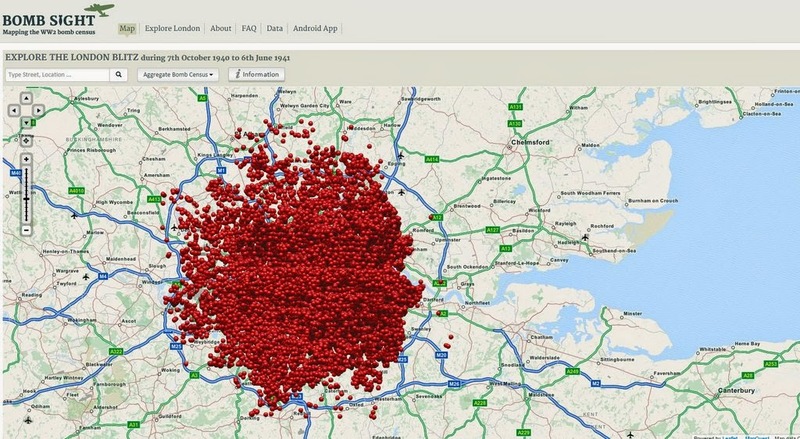 Use Bombsite to find out the damage and location of bombs dropped in your locality if you live in London. Remember this only records damage during the "Blitz" and that London and other cities suffered bombing throughout the war and V1/V2 rocket attacks.